‘Odd Rocket’, a jazz influenced band based in London, are releasing their first album: ‘Stellar Material’, out 23/09/18. The album features various instruments including horns, synth, electronic percussion and electric guitar. Mostly instrumental, with some light vocals throughout, the mood of the record is spacey and melancholic; a mix of grooves, improvised solos, and repetitive harmony. The recently formed band met whilst studying jazz together in London and have been rehearsing, writing and gigging around the city. To celebrate the release of the album ‘Odd Rocket’ will be hosting a party in Deptford, London at ‘Buster Mantis’. The party will be on the 23rd of September 2018, 8:30 – 11 PM and free entry. A Sunday evening of jazz fusion and groovy music ending with the band performing the pieces from their album. ‘Going to Be Okay’ is a tune from ‘Stellar Material’, recorded at ‘One Cat Studio’, produced by Viacheslav Shevchenko and filmed by Ned Lecomber. It can be found on the band’s youtube channel and facebook page. The rest of the music will be online in all the normal places (iTunes, Spotify, Bandcamp, Youtube, etc) on the date of the release. 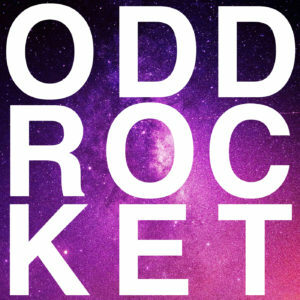 A track from ‘Stellar Material’, Odd Rocket’s first album. Recorded in ‘One Cat Studio’ and mixed / mastered by Slava Shevchenko. The sessions were filmed and edited by Ned Lecomber.